A product that is becoming ever more popular with schools! 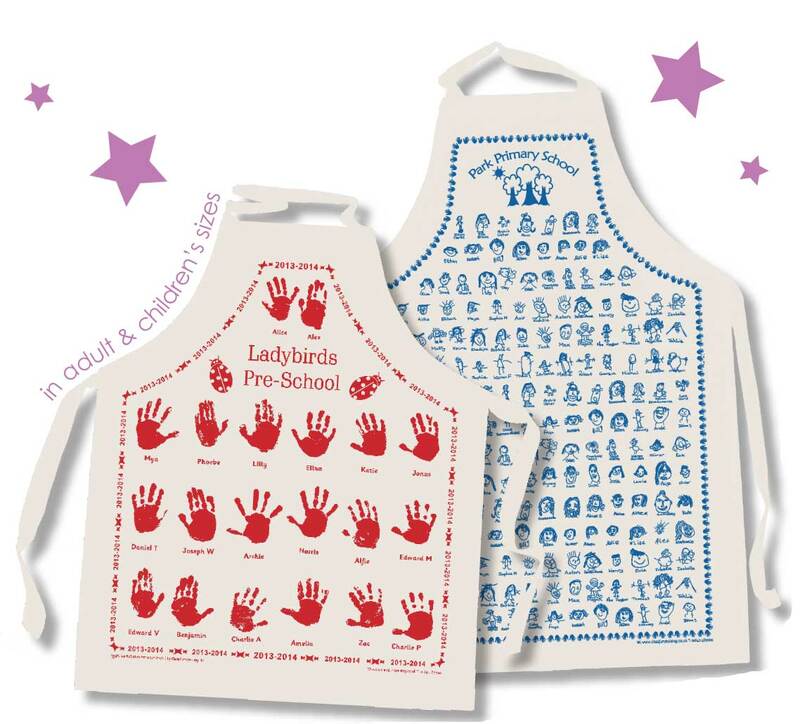 Our Printed School Aprons are what everyone is talking about! Taking what we know from the unique way that we offer school printed tea towels we can now offer printed school aprons. Aprons are an ideal alternative to tea towels and they are a practical item around anyone’s kitchen. Our aprons are all manufactured by us here in the UK. They feature tying straps and are available in Adult and Children sizes. They work in the same way as the tea towels and bags, we simply send out an art pack designed specifically for the printed school aprons project. All you have to do is follow the simple instructions and let us do the rest. We email you a FREE proof prior to production and once this is approved you should have your lovely aprons back at school within 2 weeks. 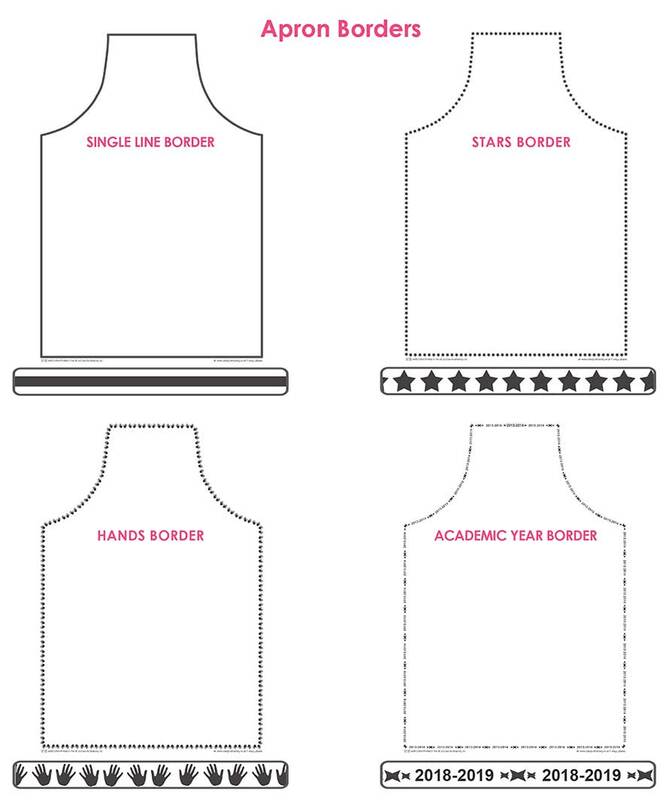 We have a range of borders and a great host of colours for you to choose from to make the aprons extra special and unique. They are made from 100% Premium Cotton Drill and include a wash label. Check out the prices below! 100% white cotton drill. Children’s aprons are VAT exempt. Approximate size 75x55cm. 100% white cotton drill. Approximate size 88x58cm. Prices exclude VAT. OK, I’m sold! – What do I do next? 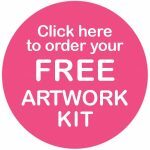 If you want to go ahead you will need to order our free art pack click the link below and select aprons and we will send out our free art pack which helps with the designing of your fab printed apron!